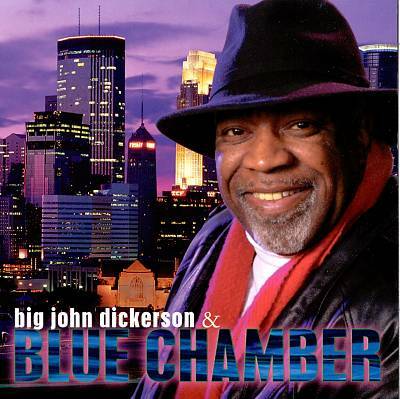 Vocalist Big John Dickerson is no stranger to blues and soul music, and his self-titled debut for the Minneapolis-based Cannonball Records proves that point. Big John Dickerson and Blue Chamber finds him working with a seven-piece group that includes horns. Produced by organist Ron Levy, the record showcases his vocals and the band's take on classic R&B and blues like "Mother-In-Law Blues," "Homework," "Oh Pretty Woman," and the instrumentals "Okie Dokie Stomp" and "Blues In D Natural."